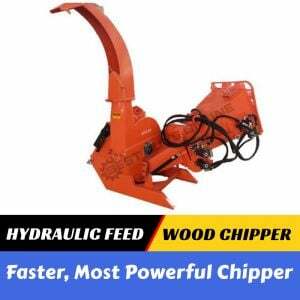 Are you looking for a powerful wood chipper to clean up the garden and reduce the piles of leaves, branches and twigs or even weeds and finished crops from the vegetable garden? 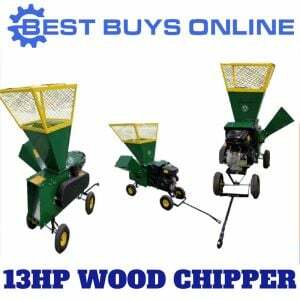 Whether you are a tradesmen, commercial gardener or handyman, this wood chipper - shredder has been built to last and designed to make quick work of bushy branches, thick shrubs and debris into manageable and usable mulch. The FI75SC Wood Chipper Shredder has come with a compact design and innovative features that is powerful, reliable, and easy to operate. 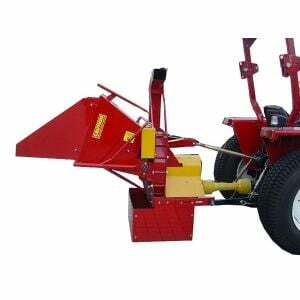 Featured a reliable 6.5HP Manual Start engine and powerful shredding and chipping hammers, it quickly converts yard of debris or brush into useful mulch. It has 2-way feed: side chute and heavy duty deep steel oversized hopper for easy feeding of bushy branches or debris and less preparation. With pneumatic tyres and convenient handle to help you get to tricky locations or easily roll over bumpy terrain. 2-way feed : side chute and oversized hopper with powerful shredding & chipping hammers. Chipping Capacity: 76mm / 3 Inches in diameter.